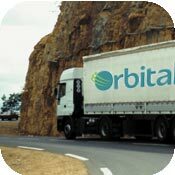 At Orbital Express we understand that it’s vital that your package reaches its destination quickly and safely. While we do all we can to ensure that this happens every time, poor or inadequate packaging can result in damages. Keep in mind that an efficient express delivery service often relies on automated equipment. Depending on its destination your parcel may be travelling on conveyors or packed onto pallets for transit, so robust packaging is essential. To avoid any potential problems and as part of our commitment to offering a world class delivery service we offer a free, comprehensive packaging advice shop. One call and our expert advisors are on hand to offer help and advice on a range of packaging problems; from how to package fragile or delicate items safely to ensuring that your packages are labelled correctly and, if applicable, meet international legislation on content declaration. Call 01924 439977 to talk to one of our advisors. Alternatively see our hints and tips for good packaging below. Don’t forget all our packaging advice is free and there is no obligation to purchase any packaging products. Here are a few tips to ensure your packages reach their destination safely and quickly. It’s important that care is taken to protect packages and their contents by wrapping or boxing them in accordance with our guidelines. 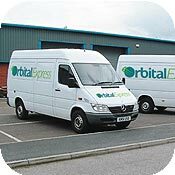 For more information on how to package goods for express delivery or overseas delivery please call Orbital Express now on 01924 439977 or complete our online contact form.